Home » ADD A THH TX-10 Off-Road Helmet. ADD A THH TX-10 Off-Road Helmet. 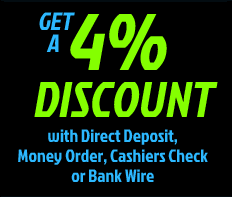 Free Shipping with any Dirt Bike-ATV or Go-Kart Purchase!! Adult & Youth Sizes! 4 Color Choices!! The THH TX-10 offroad helmet passes the test for durability and safety. DOT-approved, lightweight ABS shell protects your head and looks great doing it. Flow-through ventilation is provided to keep from fogging and keep you cool on those warmer days. A goggle grabber holds your eyewear in place, and the graphics are striking and sure to get you noticed. Plush absorbent removable, washable interior lining for a quality comfortable fit. * Graphics vary but is similar to model shown. 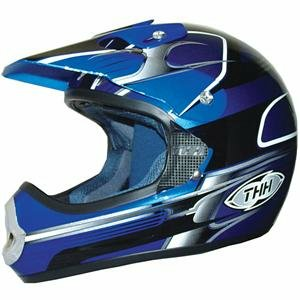 THIS THH HELMET SHIPS FREE WITH ANT DIRT BIKE - ATV or GO-KART PURCHASE! ADULT & YOUTH SIZES!